To cater to the need to travel within and outside campus to run errands and provide a solution to the conveyance problems faced by students, X-SEED, the Idea and Initiative Cell of XIMB came up with the concept of ‘X-Cycles’, wherein students can rent bicycles on a per hour rate basis. It serves as a low cost and convenient mode of transportation for the XIMB community for use within and outside the campus. X-Cycles contributes to a cleaner and greener environment in its own enjoyable way. One can always find students riding their bikes and cycling during their free time, relieving their childhood memories and creating new ones on the way. This provides students with a sense of relaxation and much needed freedom from their hectic schedules. This has also, for some, fulfilled the need to remain fit and healthy and has become a regular mode of exercise. The facility is available for the XIMB community with a target audience of around 900 people, including students, staff and faculty. There are currently 7 cycles on the campus which are available for rent at a nominal rate of Rs. 8 per hour, and the members are required to deposit an initial amount of Rs. 200 as an advance payment to avail of the facility. The maintenance and repair of the bicycles is taken care of by Team X-SEED.The initiative found a place on TATA First Dot, a platform that mentors and showcases student start-ups. 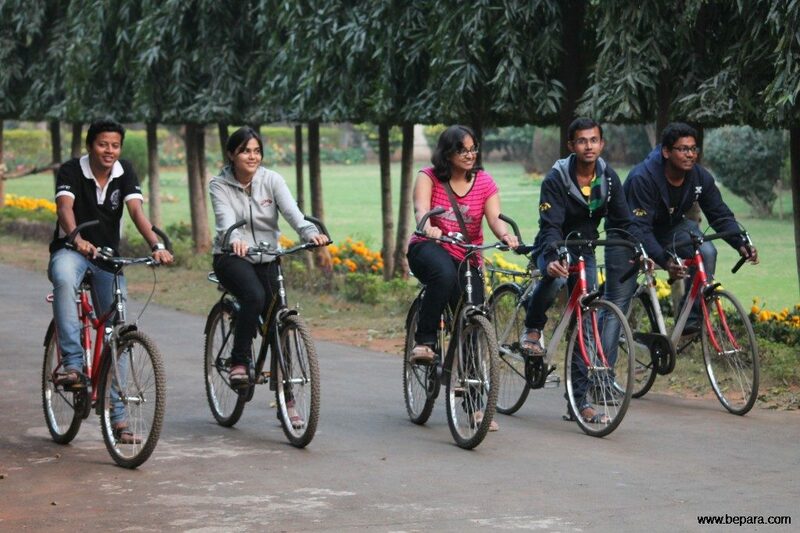 Bhubaneswar is one of the few cities with dedicated cycle tracks on many roads which makes cycling all the more fun. To promote these very cycle tracks, a cycling marathon was organized in the city on Republic Day. It was called “Back on Pedals”, organized by the Bepara Foundation Trust in association with a well-known bicycle company to promote cycle tracks in Bhubaneswar. X-Cycles provided cycles to enthusiasts who wanted to be part of the 13 Km long marathon that took everyone to the outskirts of Bhubaneswar. The students gave the message that “Cycling is the way to stay fit and healthy” to the society and also proposed to replicate the “Bicycle Station” model in India to have a pollution free environment. “I took one of the two ‘racing’ cycles for the marathon and enjoyed the ride to and from the end point of the marathon because of the well maintained cycle,” adds Risheek. With more and more corporates employing a “cycle to work day” routine at least once a month, cycling is now seen as a low cost way to reduce pollution and stay fit. 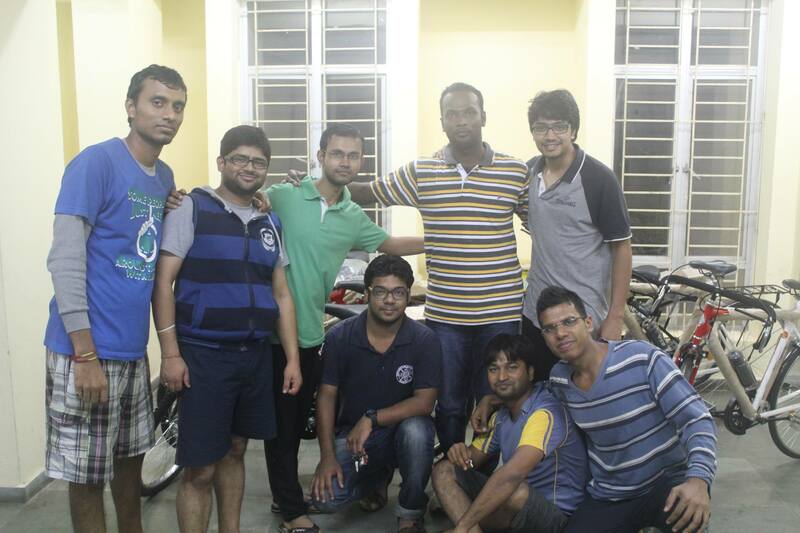 X-Cycles has received a huge response in XIMB, as a result of which X-SEED has been planning to add newer and better cycles to the fleet. Students can be seen cycling around the campus as a way to break from the routine and enjoy a quick workout in the fresh air which stands as a testimony of the huge success that X-SEED has achieved in making X-Cycles popular.